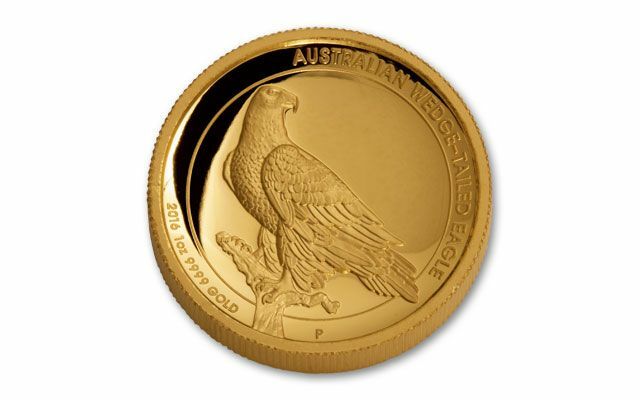 The Australian Gold Wedged Tailed Eagles took the collecting world by storm when they first landed in collectors' hands three years ago. They're new for 2016 and they've just landed in our vaults, ready to take flight into your collection. The new design by John Mercanti, 12th chief engraver at the U.S. Mint, shows a bold eagle at the top of branch, overseeing his domain. 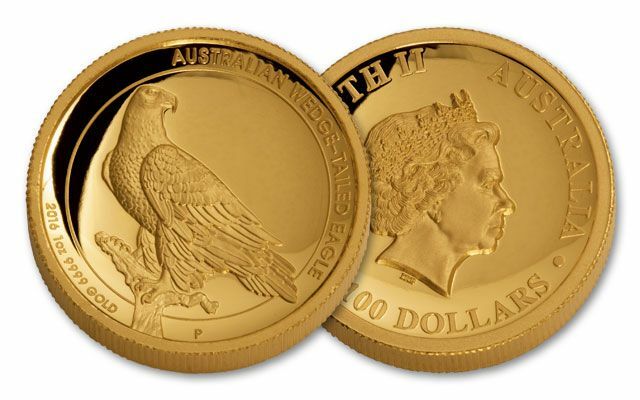 These high relief Proof Silver Eagles show amazing depth of design, as only the masters of high relief at the world-renowned Perth Mint can accomplish. 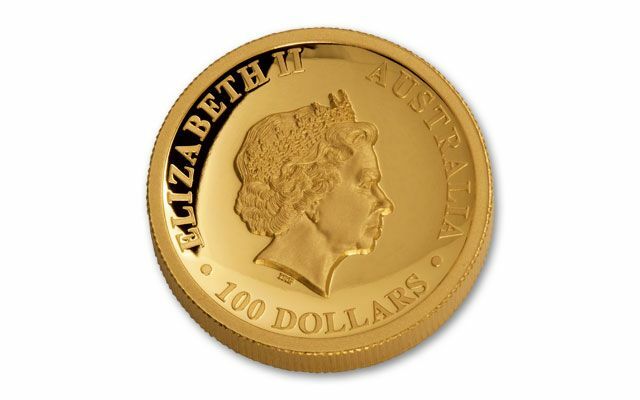 Only 1,000 Proofs have been minted in 99.99% gold. You can secure yours now in original mint packaging with a certificate of authenticity. What a prize! Don't wait, call now.